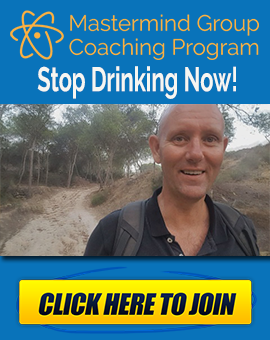 I’m Kevin O’Hara for Alcohol Mastery and this is Stop Drinking Alcohol Week 44. So finally this week I got down under the 200 pound mark, down to a 197. Been trying to get down there for so long and it’s really not about the weight. It’s not about the weight at all. It’s about the big Guinness belly. It’s about the big reminder of what I was doing to myself and I can’t wait to get rid of it now. I just wanna be healthy. I’m not trying to push things beyond the natural course. I’m not trying to lose the weight really quickly, it’s just natural to want an end to it and be able to eat properly. I’m still gonna go out walking – I love walking. It’s a big part of my life now. Another thing there is that it boils down to if I can’t make the changes in my own life then how can I teach other people how I’ve done it if I’m not down to my ideal weight. If I’m not fully off the drink, how can I tell other people what it’s like to be in that position? Speaking of changes, over on YouTube this week they’ve made a few changes. I don’t know what they’re doing…The comments section, I don’t know where the comments are going. I think they’re going to Google Plus, but I haven’t really had a big opportunity or a chance to look into it yet. I think what they’re trying to do – as YouTube is owned by Google – is to try to get everyone to go over to or to register for an account on Google Plus. Google Plus is a social network, and to me if you’re forced to do something, like if you’re forced onto a social network, it’s not very social. If you want to make any comments on the video at all, just go over to the website to be on the safe side. At least I know then where the comments are. If you have any idea what’s happening, please let me know. Did I Get My Liver Checked Out? One of the questions I got before everything went haywire was did I go to the doctor and get my liver checked out once I quit drinking. To be honest with you, I didn’t. What was the point in that? If I had gone to the doctor, he would’ve only said to me, “Look, quit drinking”. I was already in the process of quitting drinking anyway so the only purpose that would’ve served would be to have made his bank account heavier and mine a bit lighter. So I didn’t do that. I think if the problem had gotten worse or the pain had got worse or continued then I definitely would have gone down. But as far as I know, the liver is a self-healing organ. It’s the only self-healing organ, I think. Maybe your skin is, as well. 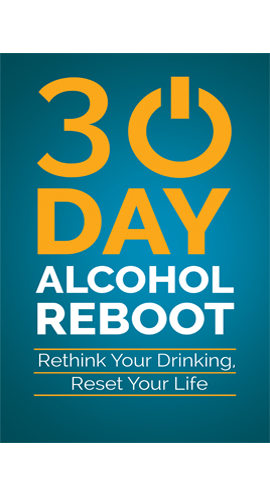 If you quit drinking, then it’s gonna try and make itself better. It’s gonna try and re-generate itself. I think once it goes past a certain level, I think once the scarring gets to a certain point it can’t regenerate over scarred tissue. But definitely, it was a scary time for me was when I was starting to get pains in my liver that I hadn’t got before. I immediately associated them with the alcohol – too much drinking. 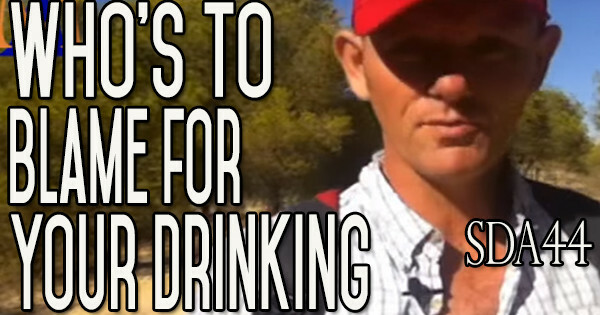 Who Do You Blame For Your Drinking Problem? One of the things I’ve been talking about this week is who do you blame for on your drinking problem. In my own experience, my own drinking life, I blamed everyone and everything around me if I could get away with it. My biggest one was, I blamed my country, my upbringing, the customs of the country – just the Irish culture in general that it was a big drinking culture and therefore, that’s just who I was. I blamed the fact that there was 50 pubs in the main street and that’s just what we did to relax and enjoy the match. I blamed arguments with my Mrs., I blamed being tired at work, I blamed the alcohol itself…I’ve talked about this in another video as well. I got a comment – I got a couple of comments, saying that it’s alright for me, and that’s another form of blame. I mean, what’s alright for me? That I’ve quit alcohol? Or that I moved country? What’s alright for me? As far as the alcohol is concerned, it’s been a long, hard struggle. I’ve struggled at times to quit over the years. I’ve been drinking for 30 years and I’ve done so much damage. I lost so much time and lost so many memories. As far as moving to Spain is concerned, it didn’t happen overnight. I didn’t get up one morning and thinking, “I’m bored today, what shall I do? I think I’ll move to Spain!” I was thinking about moving here for 10 years, at least. I was planning it for the last 4 years. I worked in forestry for a long time. There was no way I could work in forestry out here for many different reasons, apart from the fact that it’s too hot to be working with a chainsaw and all the gear that you need. I just didn’t want to do it down here. Plus, as you can see around me, the trees are only diddies – they’re only small little things. In Ireland, they’re not massive but they’re a lot bigger than this and they do need a professional to cut them down. So I had to learn a completely new way of life, a new way of making money. So I thought the best thing for me to do was to do something with my head and something on the internet. When I boiled everything down and went over all my options I thought the best plan was to try and make some money writing articles and that kind of thing online. That didn’t happen overnight either. It took me such a long time to figure out where I was gonna make some money. It took me a lot longer to even make my first Euro. It took me almost four years before I’d made enough money that I thought could safely quit the forestry business and make the big move to Spain. It just didn’t happen overnight. Like I said, it took a lot of planning, a lot of time, a lot of patience, a lot of sacrifice and saving before I could do it. And really, if you think moving to Spain to get away from drink is one of those things, I haven’t seen so much drink around me. The drink here is everywhere. You can buy it in the supermarkets, you can buy it in little cafes, you can buy it from guys that are selling burgers on the side of the road out of a caravan – you can buy alcohol off them. It’s everywhere, and it’s all cheap. It’s ingrained in the society over here, but it’s not the same as back home in Ireland. Standing up on your own two feet and taking responsibility in anything that happens to you, there’s only one place to look for the blame and that’s at the guy in the mirror. So that’s Stop Drinking Alcohol Week 44. Like I said, if you’ve got any comments at all, for now just go off to the website because I just don’t know what’s happening here. 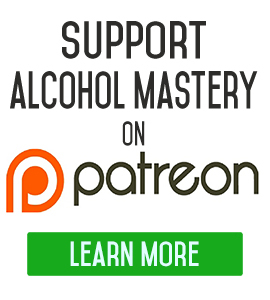 Go to www.alcoholmastery.com and leave a comment there. At least I’ll be able to see it there. I’m still struggling…Belfast born, Living in Australia, booze a plenty! I just can’t stay off it, everytime I try, my family is happy, but cautious with me, they have seen it so many times. I’m not happy on it, and I’m not happy off it, I can’t work it out. Hey Gerard, keep trying – you’ll get there. 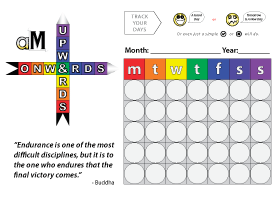 The first step is knowing you want to quit. It’s just a habit that’s got some deep roots – Irish in Australia, lol… don’t use it as an excuse though, life is too good to waste it being wasted!